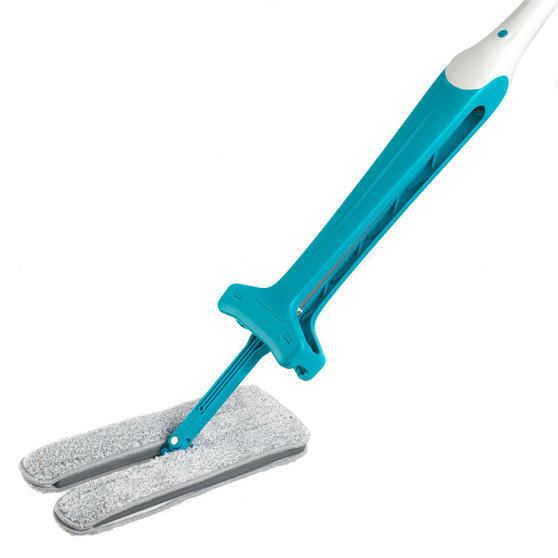 Make mopping the floor an effortless task with this amazing Beldray double sided squeegee mop. 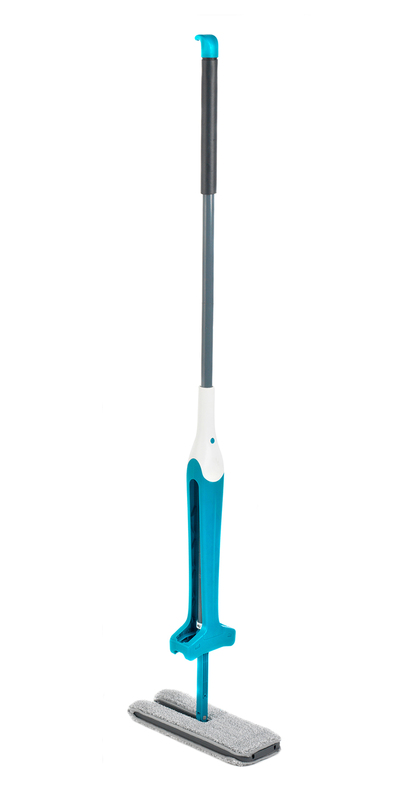 The vibrant turquoise design will brighten up your cleaning cupboard instantly and is essential for flawless cleaning around your home. With an easy grip handle which has a total length of 150 cm, you can enjoy easier mopping with further reach. 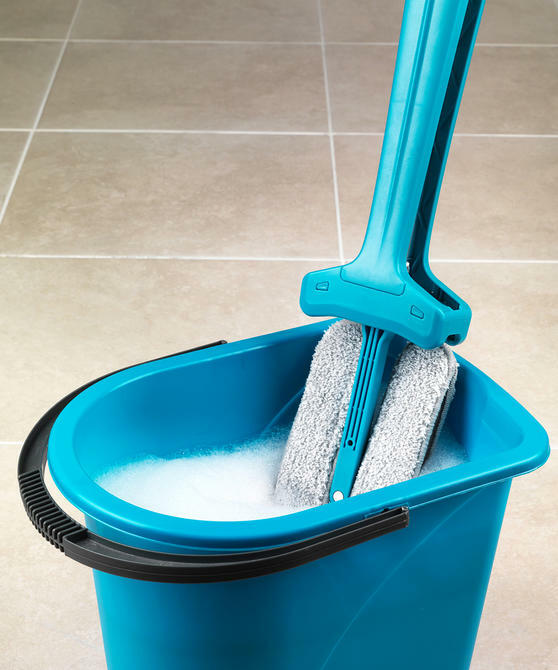 The wonderfully efficient mop head features a microfibre side and a nylon mix side, leaving your floors fabulously clean with increased shine for much longer. This Beldray squeegee mop is more hygienic and efficient, making your floors dry faster and keeping them sparkling for much longer. 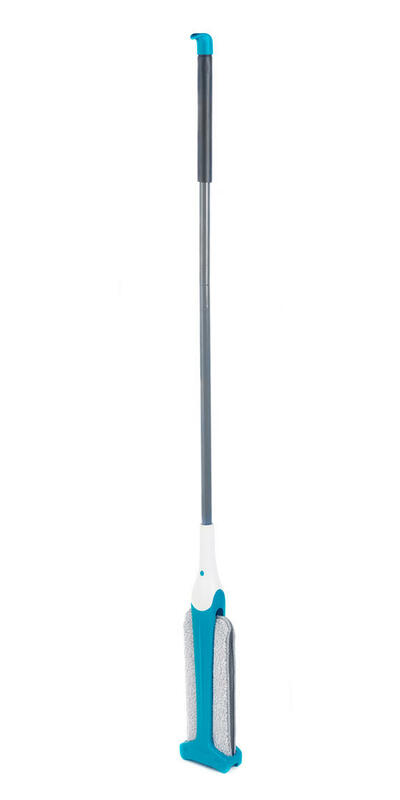 Perfect for cleaning wooden, laminated, lino and tiled floors, the handle extends to 150 cm for wonderfully easy reach as you work. 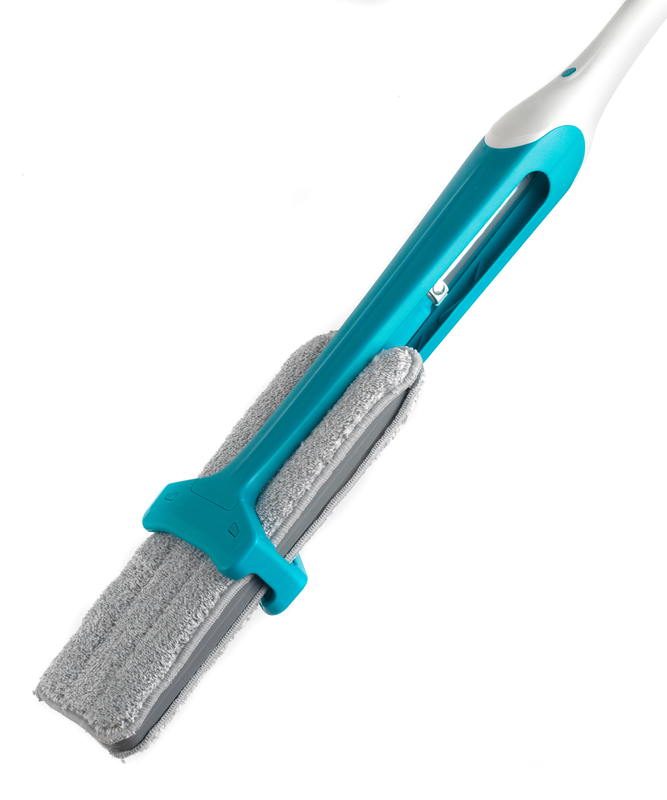 The mop head folds away creating a sleek shape for compact storage, maintaining its quality and preventing build up of dust and dirt.